Your baby has a face! Your baby's features are becoming more predominant as his lips, tongue and nostrils, as well as the buds for 20 baby teeth are already present. The back muscles are growing along the spinal column, and his or her reproductive organs have started to form and soon will become either testes or ovaries. The arms and legs are growing while elbows and knees appear as well. The fingers and toes are starting to show but are still webbed. Your baby is about 8 - 11 mm or 0.31 - 0.43 inches in length. The process of ossification (hardening of the bones) begins as the bones of the fingers and toes have already reached the first joint. Your baby is already getting smarter as his brain continues to develop and grow. Your baby starts to show signs of reflex activity - an automatic response to certain types of stimuli Connecting you and your baby, the umbilical cord with all its blood vessels, are starting to function. In fact, what will be your baby's intestine is forming in the umbilical cord as well. An ultrasound done this week would show your baby's fluttering heart and reflex movements. By now you may have missed your second period causing you to make an appointment with your healthcare provider to confirm what you may already know. At your first office visit your healthcare provider will do several tests to ensure yours and your baby's health. These included a family and pregnancy history, urine test (for pregnancy hormone, protein, blood, and infection), a blood test (for iron levels, Rh factor, and immunities), a baseline weight and blood pressure, and a pelvic exam (to determine size of uterus and the size/color of cervix). Your caregiver may also wish to do a pap smear now or wait until you are further along. While this visit will take a little longer, following visits will not. If this is your first pregnancy you are probably not showing yet. However, if this is your second or more, you may find yourself with a small "pooch" in your belly. This is because your other pregnancies have loosened those muscles, allowing the uterus to protrude sooner then before. First time pegi wat checkup kat klinik kerajaan.Diwar warkan banyak pihak,refer dgn klinik kerajaan ini similar to 'wajib' coz if anything happen kat private,then referred to govt kalau takde rekod,teruk kene hamput.So bu & baba pun gi la Klinik Kesihatan Bukit Kuda sebab time tu kita tinggal kat Bandar Baru Klang dan klinik kesihatan terdekat kat situ.Lagipun senang kat baba nanti nak hantar dan amik bu time keje.Dekat ngan opis. 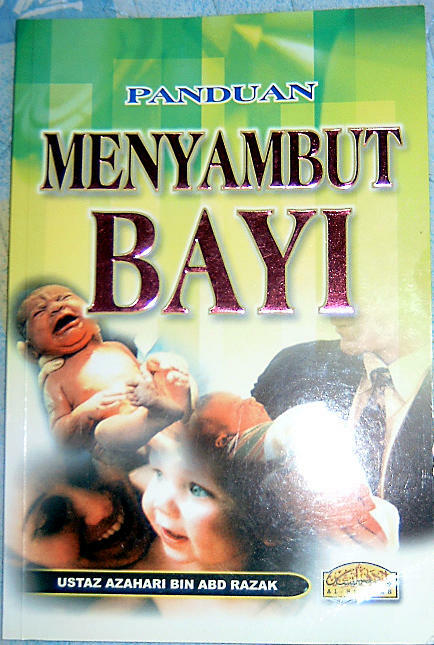 First time tu lama gak la.Lebih kepada interview,nak bukak buku utk rekod.Bu panggey buku pink.Buku nih boleh direfer ke mana mana dan kene dibawa sentiasa sepanjang mengandung sampai bersalin nanti.Details yg ditanya cam biasa la,nama bu dan baba,address,contact number,no i/c,last period bu bila(utk diorang jangka due),medical history,dll yg berkenaan. Rutin checkup yg dibuat ialah,timbang berat badan -> 61.2kg,check tekanan darah ->110/60,check darah;utk first time byk sample diambil utk check ABO & Rh grouping-> AB+ve,hepatitis B-> -ve,VDRL /TPHA -> -ve,Hb -> 9.5 g/dl,HIV -> -ve,&BFMP -> -ve;lenkali check darah utk Hb je,check urine; u/sugar -> blue, u/albumin -> -ve,jumpa nurse di klinik mengandung;dpt advise pertama penjagaan ibu mengandung->pemakanan seimbang,breastfeeding after delivery,pengambilan supplements or vitamins.Pastu kene jumpa doktor regarding bu punyer thalasemia.Next checkup is on 16/5, scan 9/5 dan buat MGTT 25/4 tapi diorang call balik,bu kene datang 28/4 pulak.Hmm..
Bu gi klinik utk test MGTT,sampai sana je diorang tukar date 28/4 (khamis) coz rabu & khamis je wat test tuh..sabor je la..
Bu pegi lagi utk test MGTT tuh.Seb baik ok.Diorang dah advise bu kene puasa malam sebelum test tuh,start 10pm.So,mula2 diorang amik darah bu time pose tu,pastu disuruh masuk bilik hidangan kene minum segelas air gula.Bu ingat,ala..air gula,ok la kan..Sekali masuk..mak aihh..lekat rasanya kat tekak.Tensen betul.Nak taknak abiskan jugak.Lepas tu dgr ceramah dari doktor gigi dgn check gigi sekali.Bu kene appoint cuci gigi 9/5.hmm..katanya plak gigi bahaya utk jantung baby.Pastu bu kene datang balik selepas 2 jam utk diamik darah lagi,yg bergula.Sepanjang 2 jam tu takleh makan dan minum lain.2 jam tu lama lagi,so bu pun balik opis dulu.Kat opis badan bu dah semacam penangan air gula tu.Tekak dah kembang.Bu tahan je..unfortunately bu takleh tahan,abis keluar semua air gula yg bu minum tu kat toilet.Sabor je la..Lepas 2 jam bu pun pegi la balik klinik tu,bagi darah lagik.Hantar kat makmal,settled.Terus carik makan.Sepanjang hari la bu dok kunyah apa apa yg ada depan mata utk hilangkan rasa gula yg melekat tu.Uwekk..